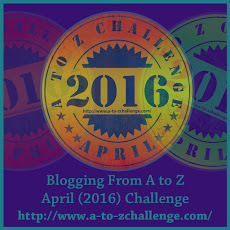 It’s April, and that means it’s time for the A to Z challenge. I really must be a glutton for punishment; April is my last month of college, and I’m still an amateur blogger, but I must say, I’m looking forward to the challenge. I’m going to be writing short little blurbs about some retired characters from my DISTANT past up until recently; all of them are failed concepts. Part of me is hoping that writing about these characters will inspire me…perhaps to write more during the summer when school is out. Gottfried Gwawrddur Kyrvach. I created him, and I literally don’t even know how to pronounce half of this kid’s name. What. Was. I. Thinking? That being said, allow me to explain a little bit about him first. He’s a little snot. That’s the easiest way to describe him. He’s a stereotypical entitled rich kid (I say kid, but he’s really supposed to be in his twenties) who likes to use his power to get what he wants. He’s not all bark and no bite however. He’s skilled, just not nice about it. I guess he’s that guy we all like to hate because he gets far in life and karma never gets the better of him. But Gottfried gets turned into a a child by a witch who sees his lack of charity. So…yay for well-timed karma? Overall, he’s a more humorous character, but it’s also rather cliche to have a witch teach someone the error of his/her ways. I don’t know. There are some cliches that are fun to work with, but the trick is adding my own twist. Why should people care about this guy? How can they relate to him? Adventure Time had an episode in which Finn got turned into a massive lumpy foot by a wizard disguised as an old man after going out of his way to help him. It was…reverse karma in a way? But I appreciated the twist in the cliche. I never got the chance to work with Gottfried or the group he’s associated with. I may return to him…once I figure out how to pronounce his name. I LOVE that you don’t even know how to pronounce his name. Lol thats so funny! I know several people like Gottfried! I don’t drink or do drugs…but I swear, half the time when I write the finished product looks as if I wasn’t sober at all!